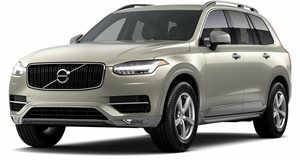 Volvo is out to reinvent itself. Well, it really just wants to survive and remain relevant in an increasingly competitive luxury market. Not so long ago, Volvo wanted to build a large sedan to face off with the BMW 7 Series and Mercedes S-Class. In hindsight, that wasn’t the best idea. Instead, Volvo is focusing on the crossover/SUV segment, as evidenced by its just revealed, all-new XC90. It features the now Chinese-owned brand’s latest example of Swedish automotive styling.